However, I certainly would not have disagreed with Mr. McCain’s analysis in 2014. If anything, the situation regarding the rule of law and democracy in Hungary has since deteriorated. In a historic vote on Wednesday, over two-thirds of members of the European Parliament voted to trigger soon Article 7 of the Lisbon Treaty, which starts the process of sanctioning the Hungarian government in light of its growing authoritarian and anti-democratic behavior, which could eventually lead to the suspension of Hungary’s voting rights in the European Union. In an extensive analysis of the situation in Hungary, the report by European lawmakers expressed serious concerns about the deterioration of the rule of law and democracy in the country, marking the culmination of years of futile dialogue between the EU and Hungary. Since 2010, Viktor Orbán has passed laws that suffocate the free press, politicize Hungary’s judiciary and demonize nongovernmental organizations. Shamefully, he has echoed anti-Semitic themes and targeted the international, highly respected Central European University. In the OSCE’s assessment, Hungary’s recent elections may have been free, but not fair. An ongoing investigation by Unhack Democracy Europe is uncovering allegations of widespread evidence of fake voter registration, forged polling station vote records and intimidation of ballot officials. With state support, rhetoric similar to that used by the former leader of the United Kingdom Independence Party, Nigel Farage, to scare voters about mass migration during the Brexit referendum has been deployed across Hungary, seemingly with the sole aim of whipping up racial tension and hostility to migrants — and to demonize George Soros, a tactic laced with anti-Semitism, now being used by the alt-right globally. Orbán is quite open about his goal to build an illiberal democracy in Europe. More than that, he wishes to spread illiberalism to other countries in Europe and beyond, teaming up with the white nationalist Steve Bannon and Italy’s far-right Interior Minister, Matteo Salvini. Like Donald Trump, Orbán does not conceal his disdain for the international rules-based order and admiration for authoritarian strongmen like Vladimir Putin and Recep Tayyip Erdogan. 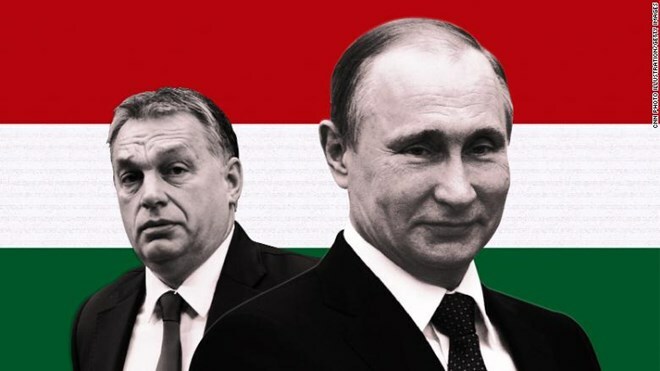 Along with other far-right political parties in Austria, Italy and France, Orbán’s party signed a cooperation pact with Russian President Vladimir Putin’s United Russia in 2016. In another worrying sign that Europe’s far right is undermining cooperation between national intelligence services in the West, the agreement provides for information sharing with the Kremlin on issues relevant to bilateral and international relations. This vote proves that the march of the illiberals in Europe will no longer go unchallenged and that there is a strong majority of parliamentarians in the European Union still willing to fight for democratic laws and values. In the coming weeks and months, the international community — and the United States in particular — must heed our warning and act: Hungary’s government is a threat to the rules-based international order. European governments and the US have a moral obligation to intervene. We cannot stand aside and let populist, far-right governments drag democratic European states into Vladimir Putin’s orbit and undermine the postwar international norms. Political and financial costs must be attached to governments pursuing an authoritarian path and support provided to civil society organizations and the citizens of Hungary, who deserve much better than this. The inconvenient truth is that under the current circumstances, it would be impossible for Hungary to join the European Union today. Orbán has openly said he wants to destroy the project. This is not in the interests of the people of America or Europe. We need to stop him — now. Editor’s note: Guy Verhofstadt, a former Belgian prime minister, is president of the Alliance of Liberals and Democrats for Europe Group (ALDE) in the European Parliament. The opinions in this article are those of the author.